gain the whole world, and lose his own soul? 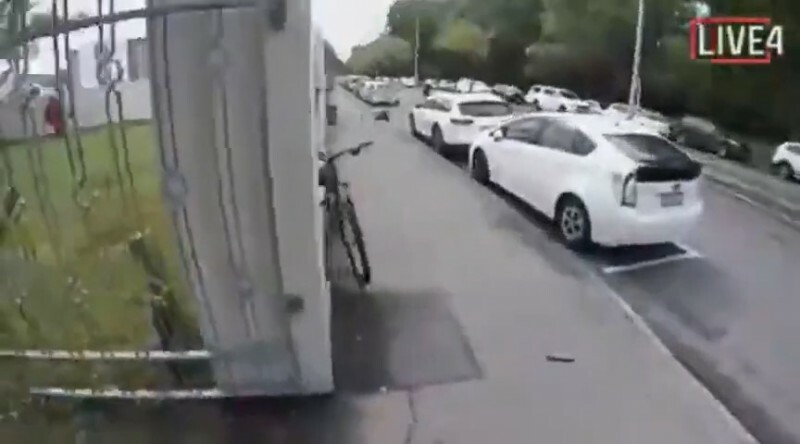 THIS, as the title indicates, is the second, updated version of my inquiry into the events of March 15, 2019, in Christchurch. The page will be updated whenever new material comes to hand, or whenever old material is discounted. I will, however, retain most abandoned theories, as even misconceptions have something to tell us. As I said in my previous introduction, I am doing this because I do not trust the New Zealand Government to tell us the truth. The Government's prime aim is to control the narrative, and to silence dissent with the threat of savage punishment (1). If it is now dismayed by all the speculation surrounding the "shootings", it has only itself to blame. Secrecy creates a vacuum that speculation will always fill. That's because human beings have an irrepressible desire — and, indeed, a duty — to search and understand. The date at the time of writing is April 17, 2019. — Basil Throckmorton. After each item that has a bearing on the events of March 15, 2019, I have made a comment in bold face. As I now have too many pictures to place on this page, I am collecting the less-important ones at: https://cawblimey.livejournal.com/15870.html. • Tellingly, on this day, a police training exercise/counter-terrorism drill is under way in Christchurch. 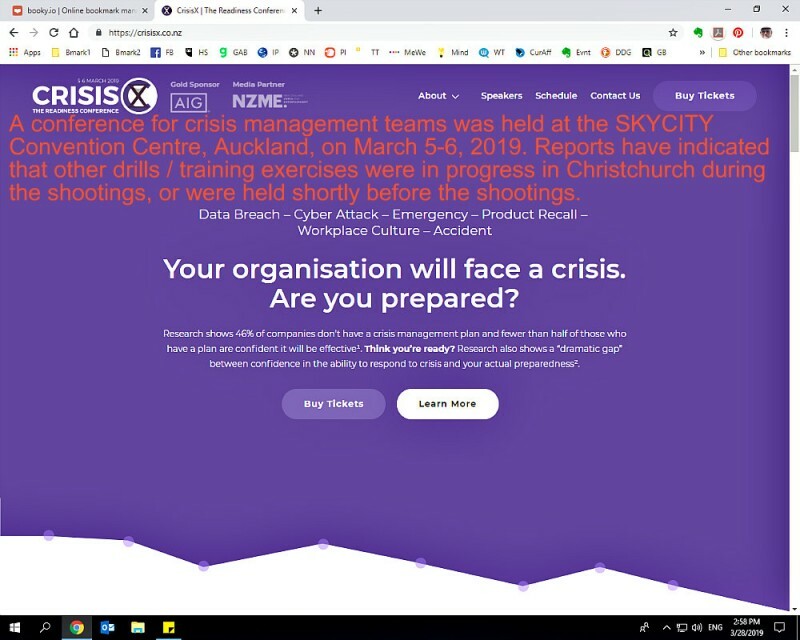 Earlier in the month, on March 5-6, a conference for crisis management teams, called "Crisis X: The Readiness Conference", was held at the SkyCity Convention Centre, Auckland. — Facts. 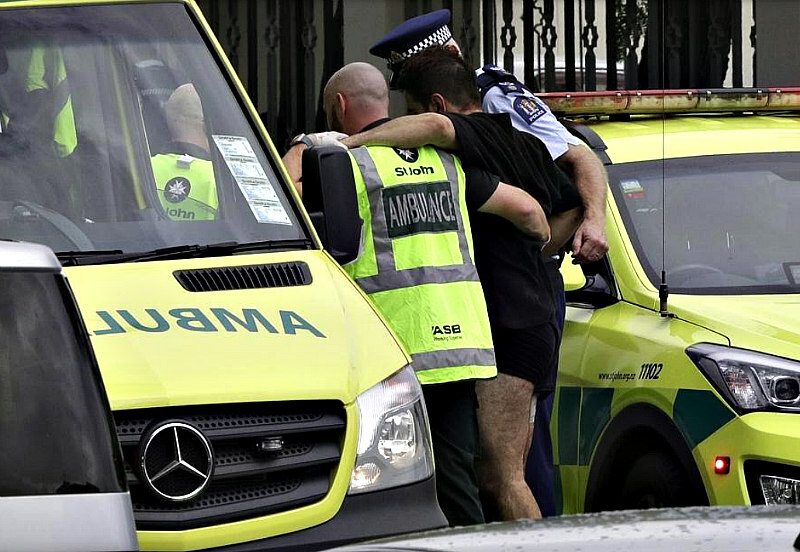 • The Christchurch training exercise involves the local hospital. — I believe this is a fact, but I can't confirm it. • Hospital staff are told to expect a realistic scene, with armed police running around, ambulances coming and going, etc. — Conjecture, but in line with the known modus operandi of the perpetrators of false-flag terrorist attacks/hoaxes. Cf. the "Boston bombing" and the "Parkland school shooting". • The "terrorist" enters the drama. He is identified as Brenton Tarrant. — Fact. • Early reports of more than one person being involved in the day's shootings, and of "several IEDs attached to cars" (Police Commissioner Mike Bush), are forgotten. The preference is always for the simple, straightforward story of the "lone wolf". No conspiracies, please. — Fact. • Brenton Tarrant is, or was, a real person. — Fact. • Tarrant is of Jewish descent. — Fact. His family emigrated from Palestine in 1948, going first to Britain, then to New Zealand, and finally to Australia. They reportedly gained Australian citizenship in 1970. • Tarrant has spent time in Israel. — Fact. "A senior Israeli immigration official said Brenton Tarrant arrived in the country from Turkey on October 25  using his Australian passport..." — Times of Israel. He reportedly stayed for nine days. Did he work for the Israelis in some capacity and did they finance some of his activities, or did he receive an inheritance when his father died — as some have suggested? One can discount the claim he made his money through Bitconnect, as this was a scam. • Tarrant has also spent time in Pakistan, which he loves. — Fact. "Pakistan is an incredible place filled with the most earnest, kind hearted and hospitable people in the world." — Tarrant's post on the Facebook page of Osho Thang on October 23, 2018. Osho Thang is a Shia-run hotel in Nagar Valley, Gilgit-Baltistan, an administrative territory of Pakistan. For more information on Tarrant's travels, see "Suspicious Travel Records of Brenton Tarrant" at https://www.digpu.com/world/2667/. No doubt much of Tarrant's personal history is untrue, if only because of what it omits. As some observers have noted, one of the "requirements" for the job of "lone-wolf" terrorist/assassin (or patsy) is a murky, ideologically conflicted background. • Tarrant is not a racist. — Conjecture, but a reasonable assumption in view of his wide travels and praise for Pakistan and its people. If he is a racist, he does not fit the mold. Anyone reading his comments about Pakistan must wonder: Is this the person who seethes with disgust at the sight of Pakistani "invaders" in Europe? • Tarrant is a member of the Masonic Forum in Canberra. — Allegation made by Gordon Duff in The Millennium Report, March 18, 2019, but in line with precedent. Anders Breivik, one of Tarrant's putative heroes, was a member of the Norwegian Order of Freemasons, and some of those behind the terrorism of Operation Gladio — what I generally refer to as Gladio 1 — were members of the P2 Masonic Lodge in Italy. 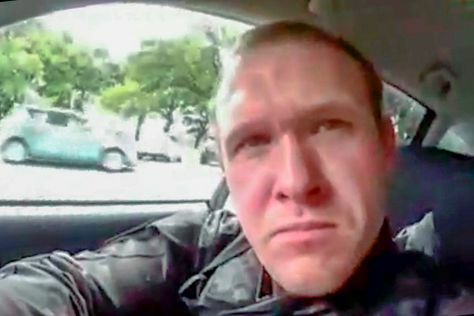 • In the "shooter's live-stream" — as the "shooter" sits in his car — the camera is turned to show what purports to be Tarrant's face. This looks as though it could have been superimposed on the video frame(s). It appears to be floating, and is, in the opinion of some viewers, too far forward of the body. There is the barest hint of a neck. 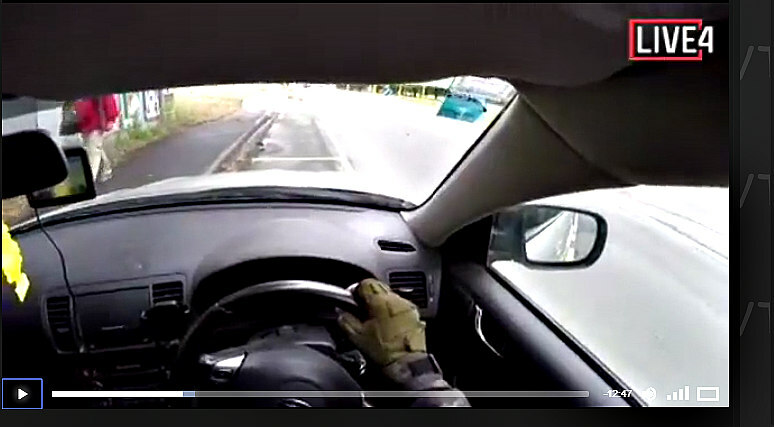 So the picture doesn't conclusively establish who the driver of the car is. It also raises the question: Why did the "shooter" feel the need to identify himself in this way? — Conjecture, but plausible in this age of photoshopping. • The person who is eventually arrested for the crimes may not be Tarrant — or may be Tarrant, but not the "Tarrant" shown driving the car (as we saw above). There are several possibilities. There could also have been some degree of mind control, along the lines of MKUltra. But in any event, the defendant will be tried and convicted as Tarrant. After that — whatever happens to him — he will not be heard from again. — Conjecture, but should not be dismissed out of hand. 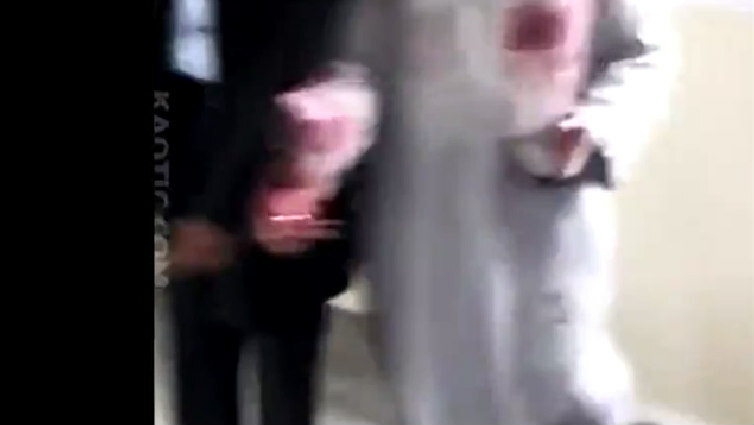 The one unpixellated or unblurred picture we have of "Tarrant" in the dock shows someone who doesn't look anything like Tarrant. But again, one has to be wary in this age of photoshopping. If this picture is authentic, the Government's reluctance to let us see what "Tarrant" looks like is understandable. • At some stage, the counter-terrorism drill goes live. — Conjecture, but in line with the established modus operandi of the perpetrators of false-flag terrorist attacks/hoaxes. Cf. The 7/7 bombing in London. • Members of the Muslim community, who have been induced, by one means or another, to take part in the "training exercise", fake deaths and injuries. (2) Later, as lucky "survivors", some of them make highly dubious claims about what they did and/or witnessed during the "attacks". — Conjecture, but plausible in view of the fact that testimonies are sometimes at odds with the photographic and video evidence. Linwood imam Alabi Lateef Zirullah. At the time of writing, I have been able to find only two pictures of "gunshot victims" being stretchered out. They look more like "victims" of the police training exercise. No evidence of gunshot wounds, and no medical equipment (apart from the stretcher). Again, no wounds, no medical equipment. Below is the only picture I have been able to find of one of the "walking wounded" being helped into an ambulance. But again, there is no visible sign of injury. He's in pretty good shape for someone who has been "shot multiple times" with an AR-15. 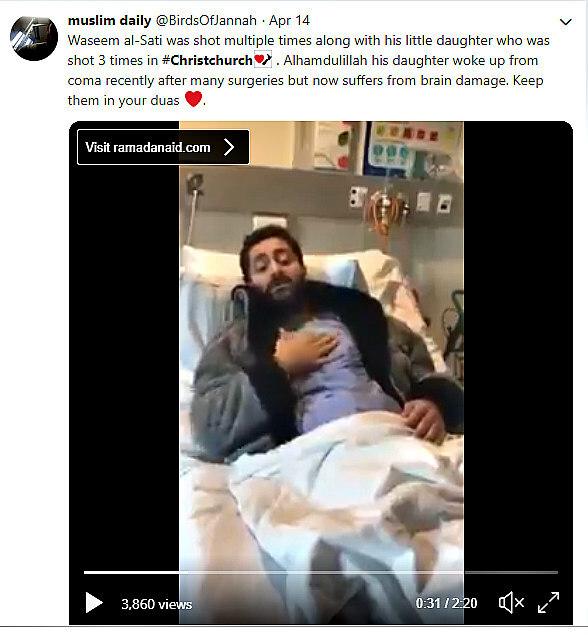 If he HAD been shot multiple times, and had somehow survived, he wouldn't be lying in a hospital bed dressed in those clothes, and he would have all kinds of medical equipment monitoring his condition. • For reasons unknown, the "live-stream" video is released to the public, only to be immediately suppressed. Meanwhile, the "Tarrant manifesto" is suppressed, writings critical of the official narrative are censored, and dissident publishers are "deplatformed". Also, images of Tarrant's face are relentlessly pixellated. — As I say below, some analysts have theorized that this crackdown is part of the drill. The suggestion is that the authorities want to find out how quickly and effectively they can shut an issue down. 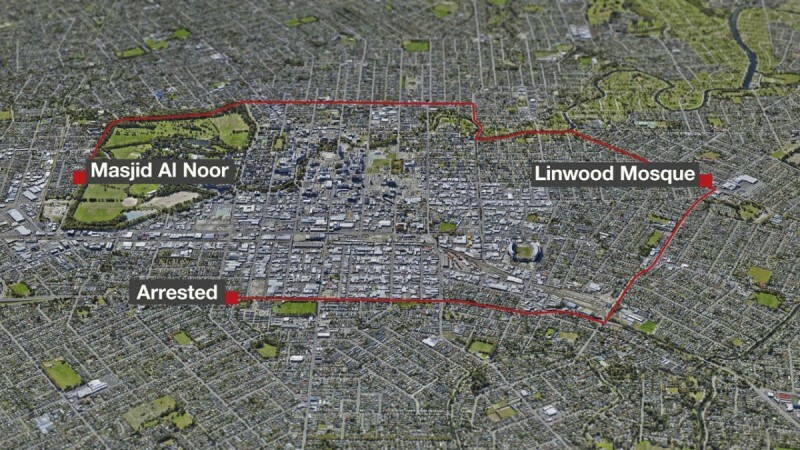 • The shooter's timeline — arrives Al Noor 1.40, leaves Al Noor 1.48, arrives Linwood 1.55, arrested 2.20 — is questioned by some people who know Christchurch. One person has written to me to say, in part, "The accused could not have driven between the venues in the time allowed." — I don't know Christchurch, so I can't comment on this. • The Government announces a Royal Commission of Inquiry into the "Christchurch terror attacks", and promises that it will "leave no stone unturned" in its attempt to "get to the bottom of how the terrorism occurred". — I think there are people in the globalist elite who have a pretty good idea of what happened and how it happened. But they aren't interested in the truth. They are more concerned with controlling the narrative and maintaining the "strategy of tension" (i.e. the strategy of Gladio 1) that keeps people on edge and makes them clamor for more and more police protection — always at the cost of civil liberties, of course. I am giving prominence to this section because most people know almost nothing about the effects of an "assault rifle" when it is fired at point-blank range at a human body. ◘ Counter-terrorism expert Greg Barton, from Deakin University, told ABC News the gunman’s weapon resembled an AR-15. “The attacker was using a couple of guns, one was a shotgun, one was an AR-15 — that’s the so-called civilian equivalent of the M-16. It’s an assault rifle,” Mr Barton said. ◘ It’s possible to argue about everything when it comes to the politics of guns —including about the definition of “assault rifle” itself — but it’s harder to argue about physics. So let's consider the physics of an AR-15. A bullet with more energy can do more damage. Its total kinetic energy is equal to one-half the mass of the bullet times its velocity squared. The bullet from a handgun is—as absurd as it may sound — slow compared to that from an AR-15. It can be stopped by the thick bone of the upper leg. It might pass through the body, only to become lodged in skin, which is surprisingly elastic. The bullet from an AR-15 does an entirely different kind of violence to the human body. It’s relatively small, but it leaves the muzzle at three times the speed of a handgun bullet. It has so much energy that it can disintegrate three inches of leg bone. “It would just turn it to dust,” says Donald Jenkins, a trauma surgeon at University of Texas Health Science Center at San Antonio. If it hits the liver, “the liver looks like a jello mold that’s been dropped on the floor.” And the exit wound can be a nasty, jagged hole the size of an orange. These high-velocity bullets can damage flesh inches away from their path, either because they fragment or because they cause something called cavitation. When you trail your fingers through water, the water ripples and curls. When a high-velocity bullet pierces the body, human tissues ripple as well—but much more violently. The bullet from an AR-15 might miss the femoral artery in the leg, but cavitation may burst the artery anyway, causing death by blood loss. A swath of stretched and torn tissue around the wound may die. That’s why, says Rhee, a handgun wound might require only one surgery but an AR-15 bullet wound might require three to ten. Then, multiply the damage from a single bullet by the ease of shooting an AR-15, which doesn’t kick. “The gun barely moves. You can sit there boom boom boom and reel off shots as fast as you can move your finger,” says Ernest Moore, a trauma surgeon at Denver Health and editor of the Journal of Trauma and Acute Surgery, which just published an issue dedicated to gun violence. ◘ A .223 round fired from an AR-15 travels at 975 m/sec, has 1854 joules of kinetic energy and a range of 3785m . . . All the victims should've been absolutely shredded to bits and would've either died instantly or bled out in minutes or seconds. There should've been a mess of flesh and blood and only pieces left of the victims. The walls and floors would've sustained major damage from EVERY SINGLE shot fired, regardless of whether the bullet impacted flesh or not. Actual results from live-stream video: 1. Minor blood splatter from point blank shots; 2. Zero damage to walls and floors. 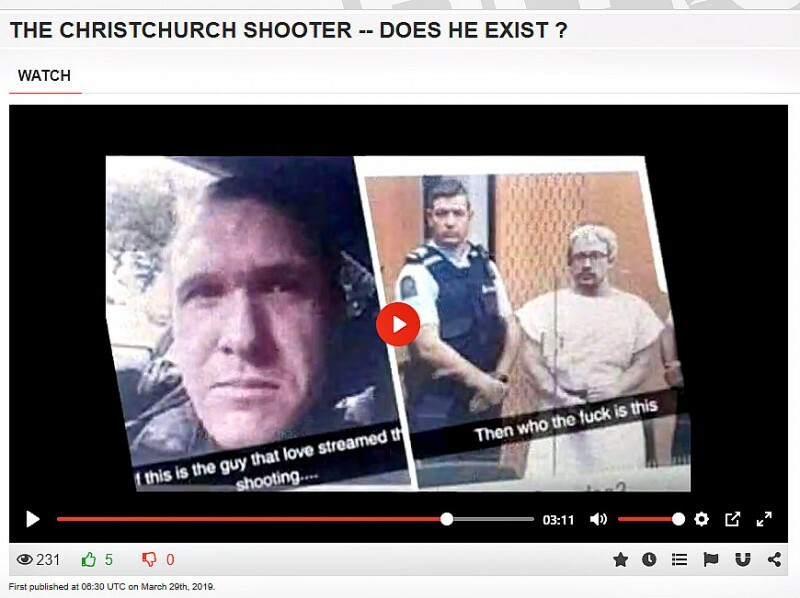 I see the Christchurch "shooting(s)" as an event — like many other "terrorist attacks" in the 21st century — that combines elements of reality and elements of illusion. I'm also inclined to see it as New Zealand's Reichstag fire, or as New Zealand's 9/11, in that it is the "catalyzing event" that allows the Government to swiftly enact measures that would, in normal circumstances, have been opposed by large sectors of the population. In other words, it is the crisis that allows those in power, citing the need for safety and security, to start to introduce the strictures of a fascist state. At the time of writing, the consensus among analysts is that the shooting has all the hallmarks of a false-flag operation by that nebulous entity known as the New World Order. * If it is such an operation — and I am inclined to think it is — Tarrant is agent, rather than instigator. 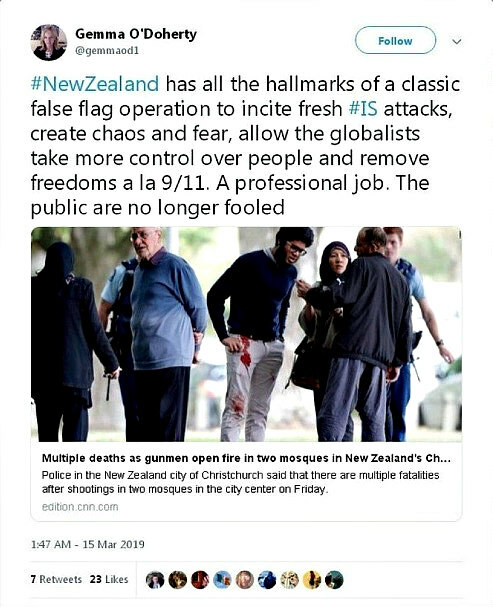 It took Gemma O'Doherty, an Irish commentator, only minutes to see what was really going on in Christchurch. The primary aim of this kind of "terrorist attack" is not, as most people assume, to divide the community. In reality, that may not be an aim at all. The primary aim is to make people amenable to the abrogation or curtailment of their civil liberties. Typically, in the "problem-reaction-solution" scenario, the authorities rush through measures that (a) disarm the public, (b) arm and militarize the police, and (c) provide for an across-the-board increase in surveillance, censorship, repression and control. 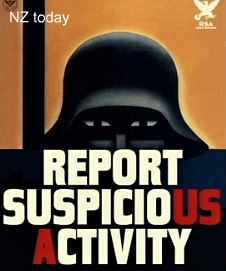 Already, we are seeing moves to turn New Zealand into a nation of spies and snitches — to "keep us safe", of course. 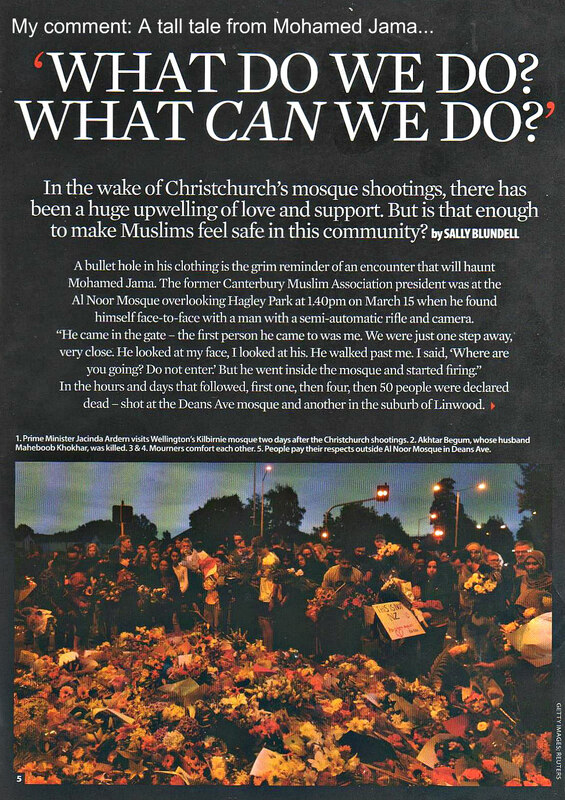 All this constitutes the sinister subtext of the lovey-dovey line being fed to us by the mainstream media in the aftermath of the Christchurch event. The draconian bans on disseminating, or even viewing, Tarrant's manifesto and video are part of the overall crackdown — as is the absurd claim we should not give the terrorist "oxygen" by mentioning his name. Clearly, the Government is desperate to control the narrative, and to consign anything that conflicts with this to oblivion. And like all governments, it is determined to strictly censor the social media and all "alternative" sources of news and information. Viewed in this light, the Government crackdown could be seen — and is seen by some observers — as a test of the speed with which it can stanch the flow of information, and stifle all meaningful discussion, after such a national crisis — so that the official narrative, as promoted by the MSM, has no credible competition. A further concern for the Government must be the fact the "live-stream" contains several anomalies, which would lead to endless debate and expressions of skepticism if the video were made public. 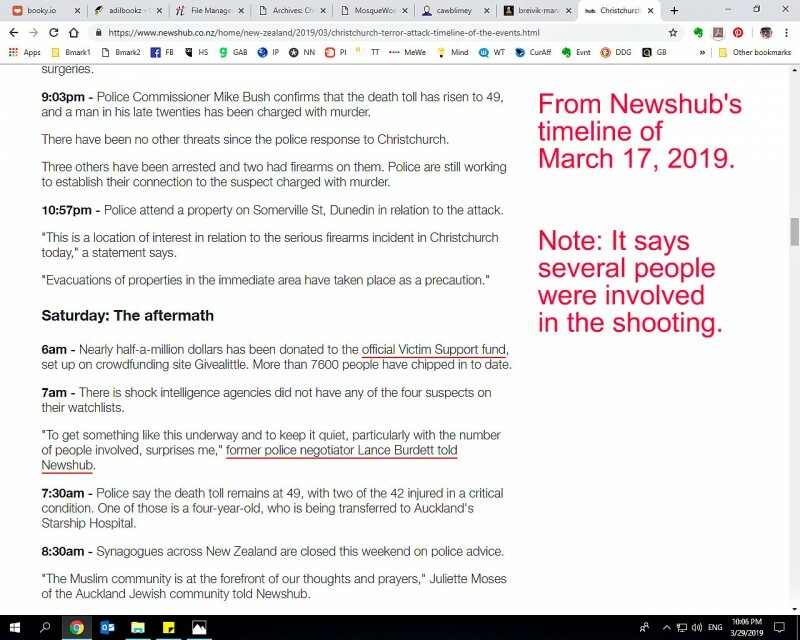 March 15, 2019, was, indeed, "one of New Zealand's darkest days", but not, in my opinion, for the reasons given by the Government. For a start, we are now locked into a farrago of fact and fiction that cannot be teased apart. And if you do attempt the exercise — or, worse, if you analyze the shooter's "live-stream" — you are mentally sick and in need of psychiatric treatment and/or imprisonment for up to 14 years. I am waiting for them to trundle out pop psychologist Nigel Latta, who will tell us, in his folksy manner, how emotionally deficient we skeptics are. Already, predictably, we are being told that we are insensitive to the "bereaved" relatives of the dead, who have been hurt twice — first by the loss of their loved ones, and then by the denial of their loss by "conspiracy theorists". But I, for one, have never claimed that no one died in this or any other false-flag terrorist attack. Deaths can occur in any such operation, especially if someone strays from the script or if something untoward happens. But as a rule, the perpetrators don't want to cause deaths. That's because (a) any death is a complication that can lead to legal problems, and (b) real deaths are unnecessary when they can be faked. The perps know that even if no one dies in an "attack", they will still be able to draw up a list of the dead and injured that will be accepted in a court of law. They have been pulling off these stunts for about 60 years — since the days of Gladio 1, during Cold War 1 — and know that, because the public is gullible, they can continue their modus operandi almost indefinitely. How nice of Hillary Clinton and the creepy John Podesta to visit our shores. Another consequence of "one of New Zealand's darkest days" is the wholesale assault on freedom of speech. We are now in the grip of a veritable frenzy of censorship that is stripping us of rights our forebears fought and died for over many centuries. But sadly, most people — especially young people — are today so dumbed down they don't even notice what is happening. When I started to write this piece, I was going to say that the state is corrupt. A more accurate assertion would be that there are people in the state structure whose primary allegiance is to globalism, and who are determined to mold New Zealand to globalist ideals. There are various ways in which they can do this. First, they can co-opt the mainstream media, and ensure it supports the official narrative on any controversial issue — often by denying there is any controversy in the first place! Then they can either co-opt or neutralize the various sectors of society. The unions have long gone as an effective force, and the potent student/peace movement of the 1960s is now a distant memory. The beauty of the false-flag terrorist attack/hoax — as staged by agents of anonymous actors in the globalist elite — is that it speeds up the consolidation of power at critical junctures. Specifically, it enables the elite to (a) claim we can no longer afford the "luxuries" of due process, free speech, and private gun ownership, and (b) bring even fringe groups into the fold. 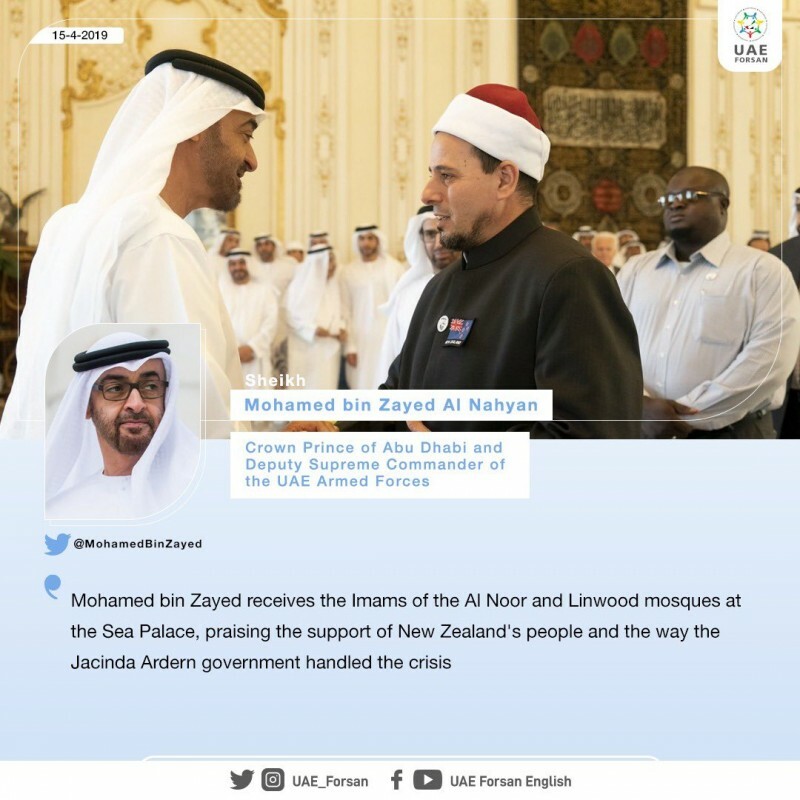 When I heard the imam of Al Noor Mosque, Gamal Fouda, say an effusive "thank you" to the globalist Ardern, I realized that this gambit of the New World Order had also worked in the case of the Muslim community of New Zealand. "Thank you" for what? For the way in which Muslims were enticed into what must, for most, have initially been seen as no more than an anti-terrorism exercise in which they could play a colorful and exciting part? For the way in which Muslims were led, step by step, into a labyrinth of lies, which now collectively form the Lie That Is Too Big to Fail? Anyone who has doubts on this score should look at some of the Muslims' testimonies, and check them against what purport to be factual records of events on March 15. 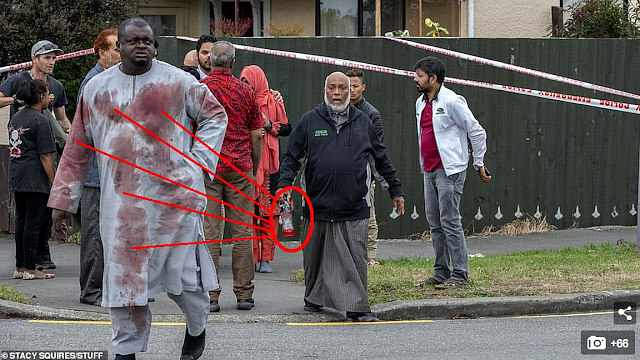 Take, for example, the testimony of former Canterbury Muslim Association president Mohamed Jama, as reported by the Listener in its issue of March 30-April 5: "He [the gunman] came in the gate — the first person he came to was me. We were just one step away, very close. He looked at my face, I looked at his. He walked past me. I said, 'Where are you going? Do not enter.' 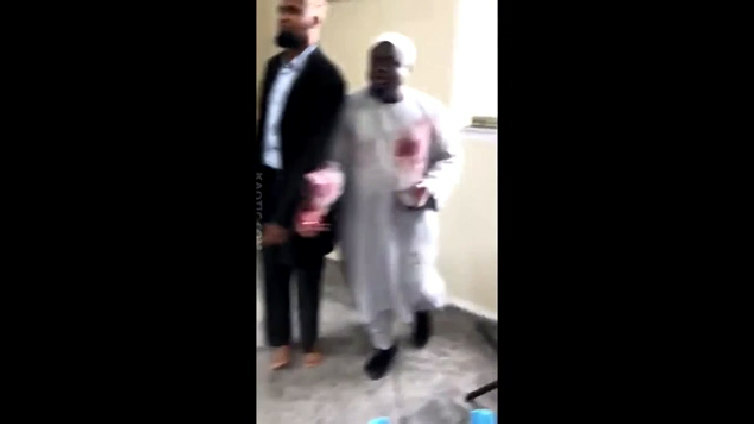 But he went inside the mosque and started firing." 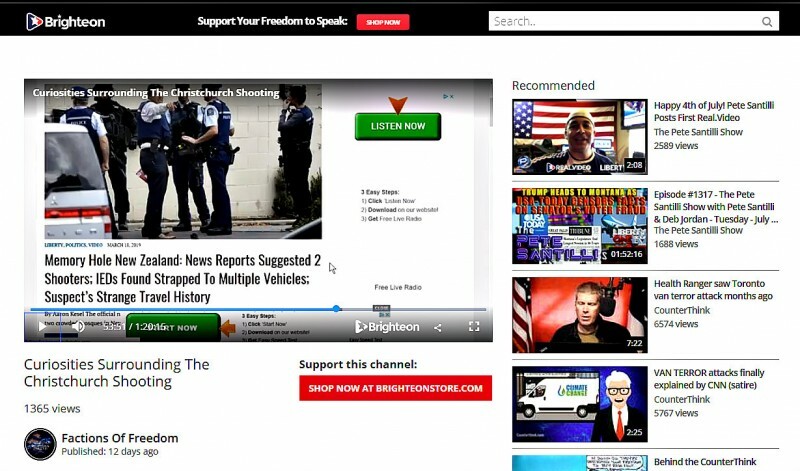 Where is this encounter in the shooter's "live-stream"? The answer is that it isn't there. So if Jama's testimony is true, the "live-stream" is indisputably not what it purports to be. Both can't be true. But even without the evidence of the "live-stream", all but the most naive reader should be able to see that Jama is lying. His words simply don't have the ring of truth. Ditto many of the other testimonies of "survivors", given in videos that are sometimes almost too embarrassing to watch. Likewise, the "live-stream" contains no iconic call of "Hello, brother" to the approaching gunman, and no "river of blood . . . flowing off terracotta tiles" — as reported by ambulance officer Paul Bennet. One of the most notable things about the "live-stream" is its absence of blood. Ghouls, alas, will be sorely disappointed. So it's not surprising the Government is anxious to squelch all knowledgeable debate on the Christchurch shootings. The more one investigates them, the more one realizes that the official narrative is untenable. In my opinion, Christchurch's Muslims are also in a precarious position. If they have been lying, they have been compromised. And if they have been compromised, they can be blackmailed. And if they can be blackmailed, they can be controlled and induced to do more things that are against Islam. The "they are us" meme is a nice political slogan, suggestive of harmonious relations ahead. But what does the emotional aftermath of this "tragic" incident really mean for their future — and for the future of the Muslim community in general? Aftermath of "tragedy": Living it up in the UAE. I also wonder whether some Muslims were a little disturbed, as I was, by the carnival of grief that followed the alleged shootings? To my mind, there was something profoundly un-Islamic in the singing, speechifying, and haka dancing that entertained us at commemorative gatherings. Then there were the thousands of floral tributes — so poignantly reminiscent of the flowers left at the scenes of victimless false-flag terrorist attacks/hoaxes in the northern hemisphere. While driving to Al Noor and apparently following GPS directions, "Tarrant" parks briefly for no apparent reason. After exactly a minute, a person in red walks past his car. Ten seconds later, "Tarrant" drives off. Some investigators who maintain the "live-stream" is genuine, or partly genuine, say this person in red is "Tarrant's" handler (or one of his handlers). Figure in red walks past the car at 4.08. At the point where the alleged shooter first entered the mosque compound. Standing by the wall, top left. A question mark also hangs over a silver Toyota Will VS, registration FQH875, which was parked to the left of the entrance of the mosque when "Tarrant" arrived, which disappeared during the shooting, but which was later seen passing through the police cordon and reentering the area. 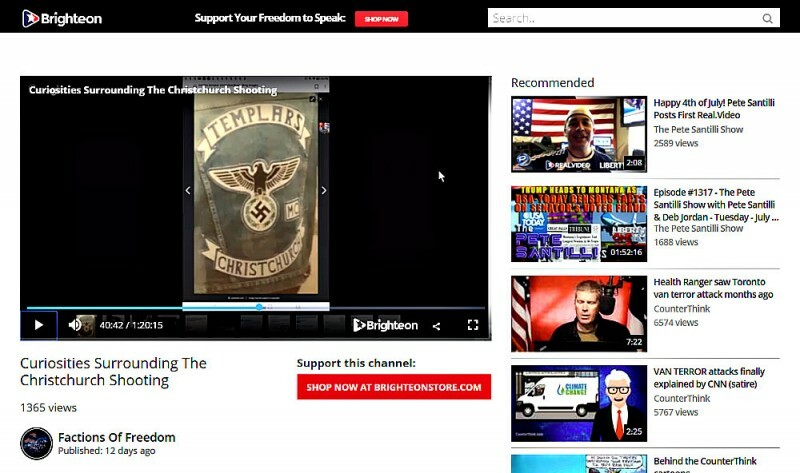 See https://www.bitchute.com/video/_TSum0TG75M/ (if it's still available). 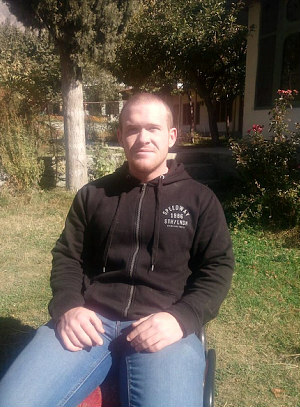 "This was not a lone wolf shooting by a white supremacist. This was an organized hit using multiple players as clearly seen and evidenced by the shooter's own video. 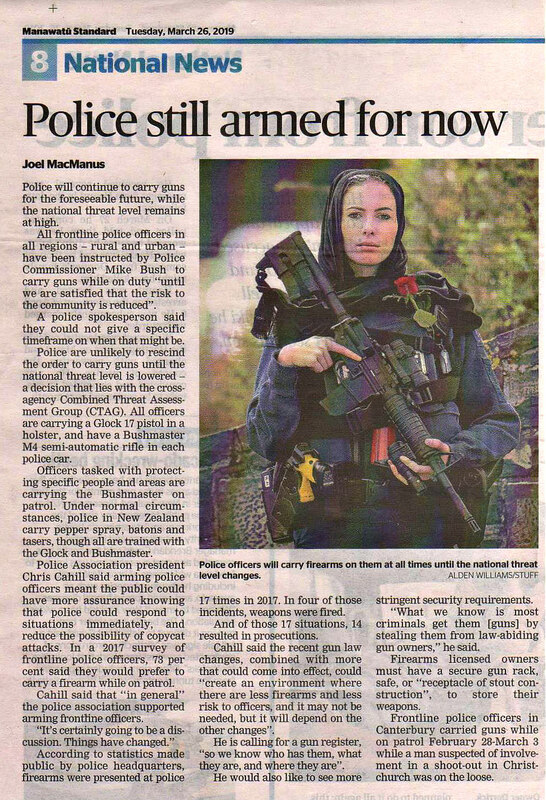 Jacinda Ardern is a liar and the people of New Zealand are being disarmed under false pretenses — and it's happening so fast because the Government is terrified of what will happen if the people find out . 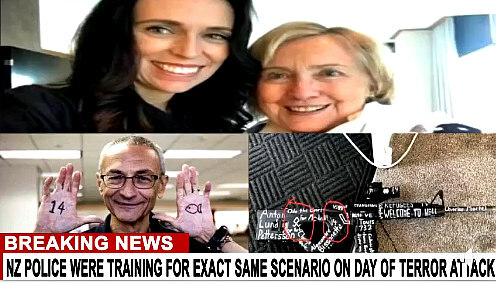 . .
"All claims of 'CGI/hoax' etc appear to be based on speculation and conjecture that I feel is purposely designed to create as much noise and confusion around the real and solid evidence as possible; to misdirect people away from placing any focus on some very real and indisputable facts contained within the shooter's video, that confirm beyond any shadow of doubt that the NZ Government is lying. "The claims of hoax and CGI are damage control. People are being played, and if they cannot get a bit of focus, learn to think for themselves and start reporting some real truth regarding this shooting, we are going to get totally screwed over this event. 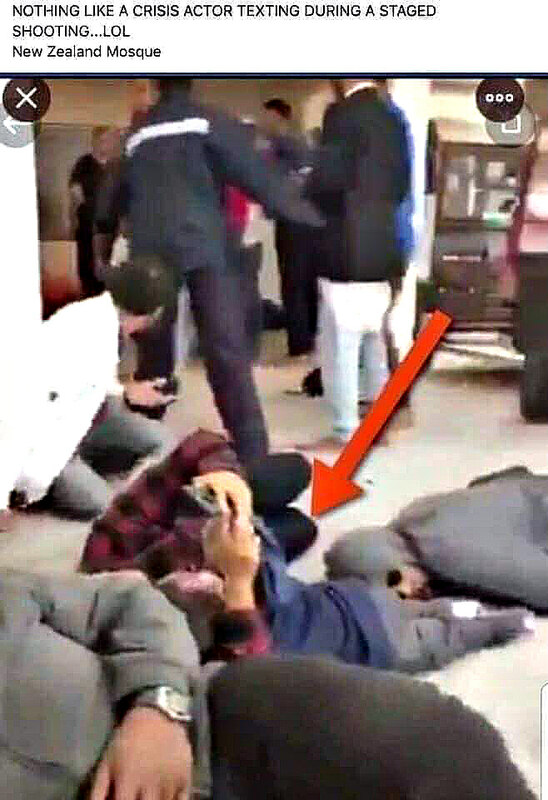 When properly examined, all evidence in the actual shooter's video suggests that this shooting was real, and claiming it's fake is one of the things that is going to be used to shut us all down. "People simply do not realize how well they have been prepped for this event. And as I previously said, I haven't been looking at this attempting to prove it either way. Belief is the enemy of knowledge. I look at each event separately; and upon inspection, I simply cannot find one shred of anything substantial to prove any of the claims of fakery people are pushing regarding this shooting. In fact, the more I look, the more I find exactly the opposite. I don't have any stake in what I see either way, I'm just sharing my findings . . ."
In the wake of the March 15 attacks on Al Noor Mosque and Linwood Islamic Centre in Christchurch, allegedly by Brenton Tarrant, a 28-year-old* Australian, the New Zealand Government has moved quickly to ban the viewing, sharing, downloading and possession of both Tarrant's manifesto and his live-stream of the first attack. 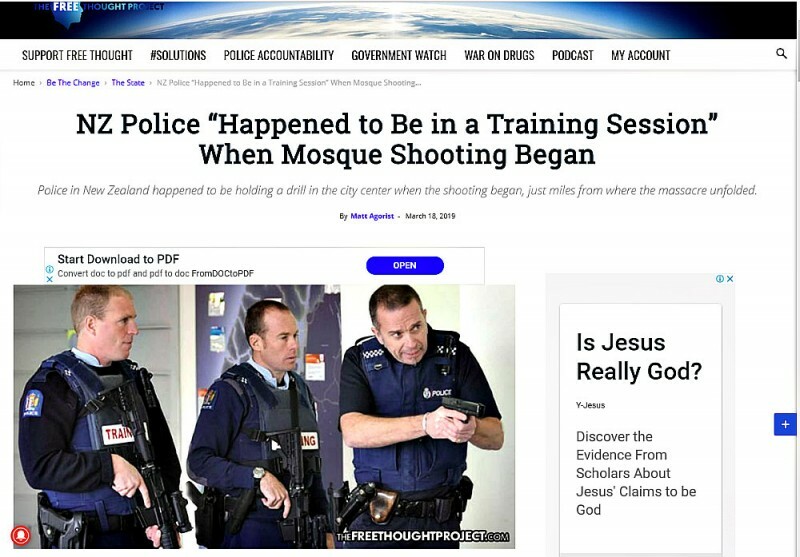 David Shanks, the country’s chief censor, has said the suspected shooter’s manifesto [The Great Replacement] “promotes murder and terrorism,” and that his office is treating it like terrorist material from ISIS. The following is an expanded version of a message I have sent to the NZ Council for Civil Liberties. * Gordon Duff, writing in The Millennium Report, March 18, says Tarrant's age has been confirmed as 42. NEW Zealand's banning of the Tarrant manifesto makes no sense in the absence of bans on its ideological antecedents — the manifestos of Theodore Kaczynski (the "Unabomber") and Anders Breivik, respectively. Both are better written and more compelling than Tarrant's incoherent ramble. Indeed, the Unabomber's manifesto makes such "good reading" — in the words of Anders Hove, of The Tech — it was published in the Washington Post and the New York Times. It has since inspired generations of eco-terrorists. Yet as far as I know, it has never been banned. Much the same can be said of Breivik's tour de force, entitled A European Declaration of Independence, which displays considerable historical and philosophical knowledge, before trenchantly commenting, "You cannot reason with Islam. Islam consumes everything eventually unless it is stopped in a decisive manner." Both the above works — which have been cited as significant influences on Tarrant's thinking — are readily available to the public, as are thousands of cruder inflammatory publications. So the attempt to suppress Tarrant's manifesto, and only his manifesto, makes New Zealand look silly. It also criminalizes any unapproved researcher who has the temerity to obtain a copy of the manifesto for analysis. Another influence on Tarrant must have been the many articles and/or videos, like the one below, that specifically address the issue of the "replacement" of "white" populations by Muslim immigrants. 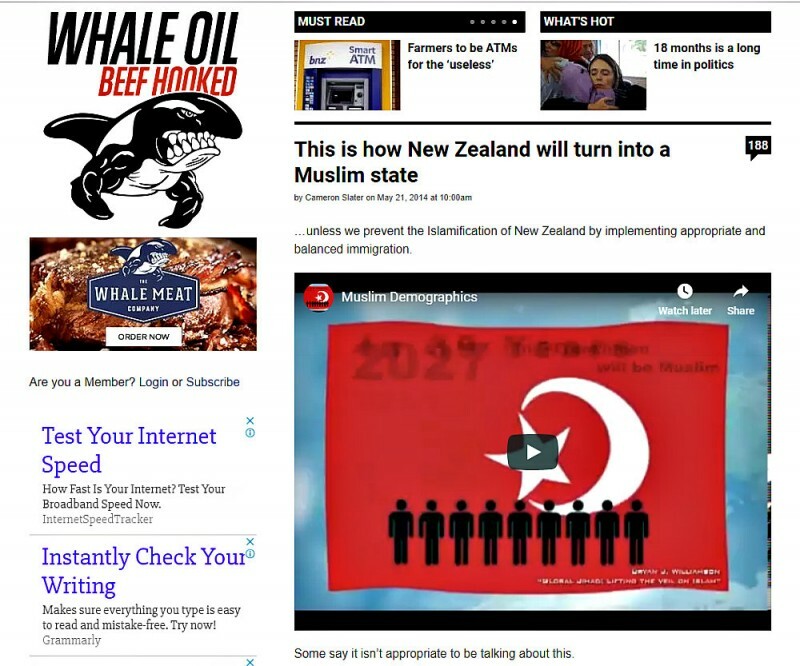 Throughout the mid-2010s, this article by Cameron Slater was on Page 1 of Google's results for the search term "Islam in New Zealand". Tarrant's diatribe is neither unique, nor uniquely dangerous. Much of what he says about the alleged dangers of Muslim immigration has been said before, albeit in more palatable terms, by prominent New Zealand publications since the mid-1980s. Take, for example, the New Zealand Listener's article of 1987. This was entitled Sword of Islam, and was prefaced by the blurb, "New Zealand's ignorance of Islam makes us a target of Muslim attentions". After introductory paragraphs, the article begins — in the words of visiting British Islamophobe John Laffin — by warning darkly of terrorist "sleepers" in the Muslim community "who will be activated when the time is right". 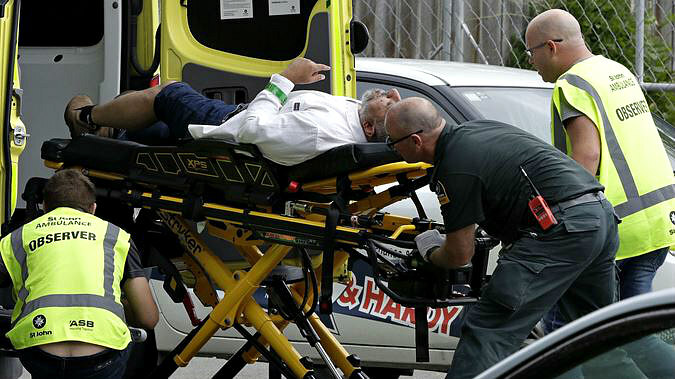 "In New Zealand the Muslim community have been quick to show us their more moderate face, but as some media reports have shown, there is a militant underbelly here as well. "These two groups, the moderate and militant, fit hand and glove everywhere they exist. "Underneath it all the agenda is to promote fundamentalist Islam. "Indeed, these groups are like the mythical Hydra - a serpent underbelly with multiple heads capable of striking at any time and in any direction." Another article that was clearly designed to inculcate feelings of fear and loathing for Islam and Muslims was North & South's article of April, 2013. 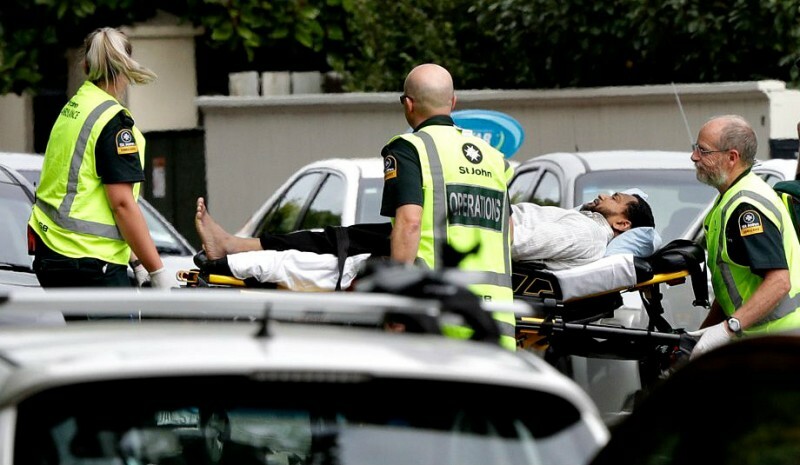 This is prefaced by the words, "Mark Scott asks if Parliament is justified in demanding our respect for a brand of Islam expanding in New Zealand that approves wife-beating, female genital mutilation and the death penalty for homosexuals". 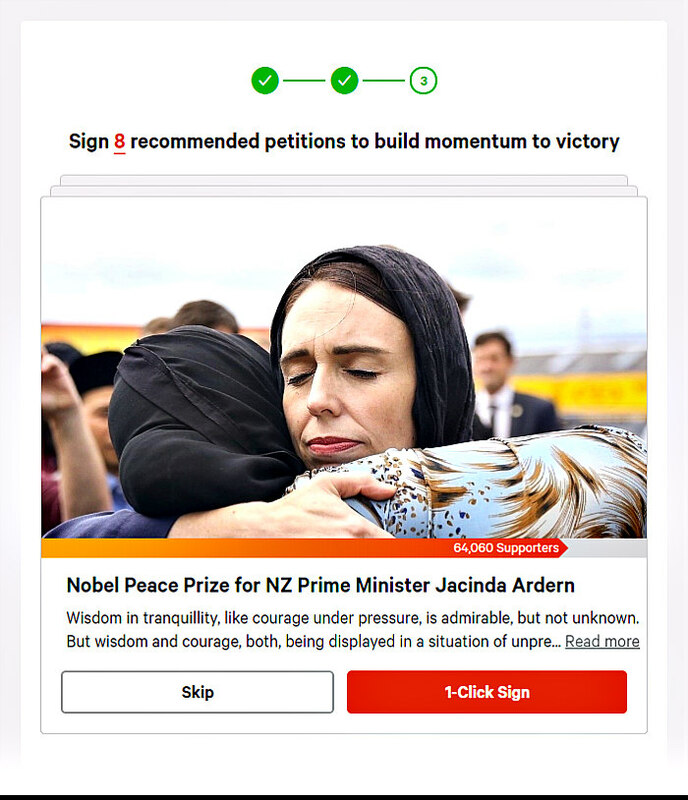 I don't recall any expressions of concern about the tenor of such articles, or about their balance, or about the effects they might have on readers, from any member of the New Zealand Government. After the above two articles appeared, I wrote to the respective editors with appeals for moderation of the provocative rhetoric. In the first instance, the editor condescendingly published an abridged version of my letter; in the second, the editor refused to print any of my points. 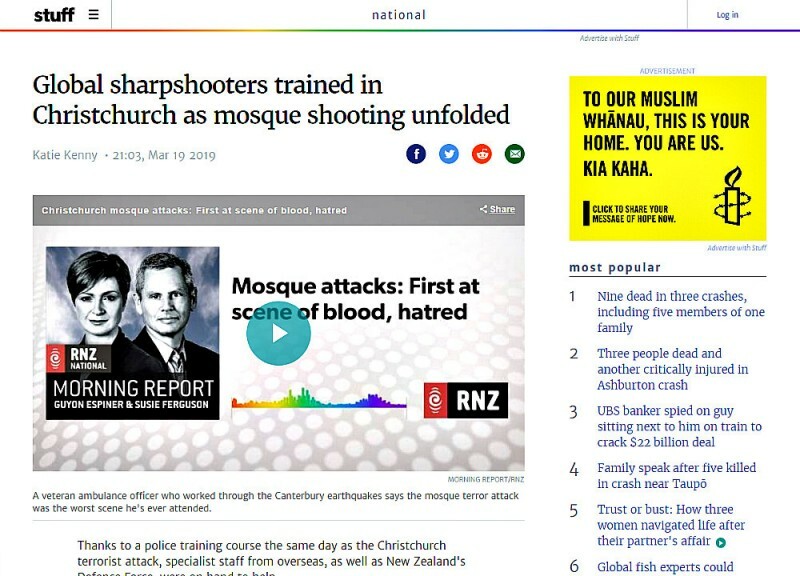 There was no reflection by either editor on their publications' portrayal of Muslims as inscrutable, menacing people who were alien to New Zealand and undesirable as citizens. Now the shoe is on the other foot, so to speak. Suddenly, being Muslim is "in". The villain — apart from Tarrant himself, of course — is the generic far-right white racist, who rages against his phantom "dhimmitude". In the emotional aftermath of the Christchurch shootings, politicians, reporters, ordinary people, and even police officers have been wearing hijab and sprinkling their conversations with Islamic words and phrases. Oddest of all, perhaps, has been the "rehabilitation" of Al Noor Mosque, which was formerly associated — if only in the media — with the radicalization of two young Muslims who were later killed by an American drone in Yemen. 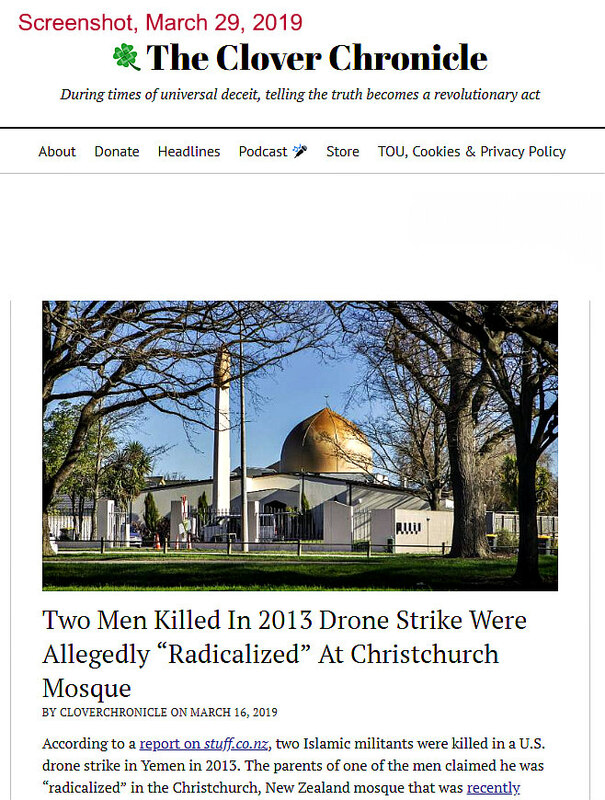 How many people, apart from the Clover Chronicle, remember the Press article, headlined "Drone victims 'radicalized' at mosque", published on June 5, 2014? 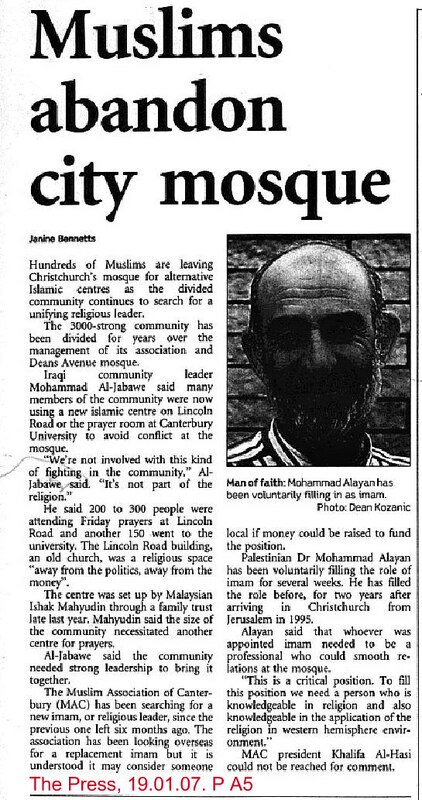 And who remembers that the Linwood Islamic Centre was set up as a refuge for those Muslims who were deeply unhappy about the state of affairs at Al Noor? It's a topsy-turvy world — and one in which the suppression of vital information is already leading to the mythologization of the events of March 15 in Christchurch. As I have said above, I doubt the veracity of some of the fanciful statements being made by some of the protagonists. And I doubt a true history will ever emerge from this wreckage of rationality. In defence of his decision to ban the manifesto, the Chief Censor — a grandiose title that sounds disturbingly like Grand Inquisitor — said it crosses a red line by "spread[ing] direct hateful messages that are exhorting people to kill and commit terrorism". In that respect, it is worse than Hitler's Mein Kampf, in the censor's opinion. But guess what? You will be allowed to read the manifesto if you are a member of the academic elite. Yes, you "will be granted access to the document without penalty" (1News). In view of the reasons given for banning the manifesto, one marvels at the irony of singer Cat Stevens' appearance at the national remembrance service for the victims of the mosque shootings, held in Hagley Park, Christchurch, on March 29, 2019. The Minister of Immigration has evidently forgotten that, in 1989, Stevens called for the death of writer Salman Rushdie, author of The Satanic Verses, saying that, rather than go to a demonstration to burn an effigy of the author, ''I would have hoped that it'd be the real thing''. In my book, that sounds remarkably like "exhorting people to kill". Geoffrey Robertson, QC: You don’t think that this man deserves to die? FOOTNOTE: Muslims don't realize that they are being played — that Islam, particularly when it is weaponized as "Islamism", is a tool in the hands of the supranational elite, which is actively seeking global dominance. Al-Qaeda, for instance, is both ally and enemy, depending entirely on the theater of operations and the current exigencies. It has been fought in one region even as has been co-opted in another — in Syria, for example. The same has been true, to a lesser extent, of ISIS. But Islam as a whole can be exploited, or harnessed to the task in hand, depending on the international situation. In the 1990s, during the destruction of Yugoslavia, it was politic to cast Muslims as victims. After 9/11, they were, of course, cast as perpetrators. 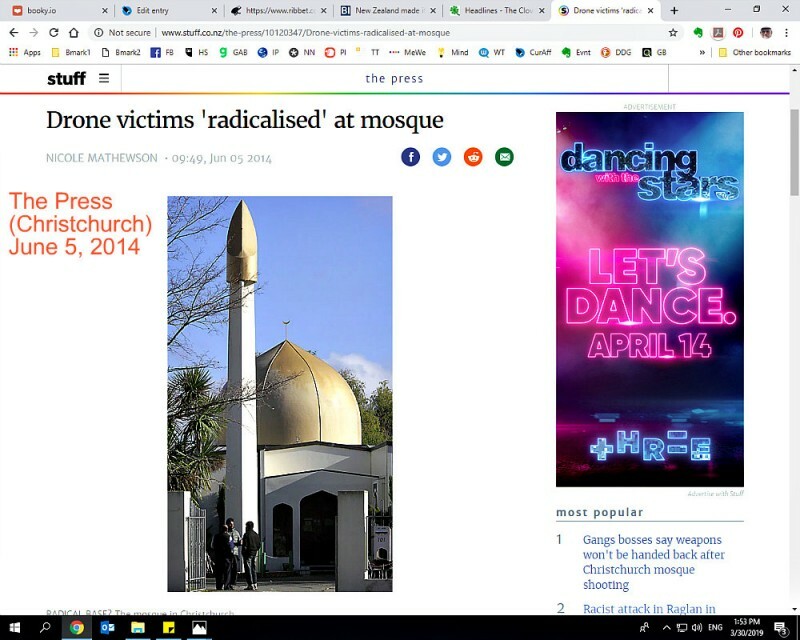 Now, in Christchurch, we seem to have come full circle, with Muslims being cast as innocent victims again. And in the wake of the Christchurch "shootings", we are, once again, being exhorted to fight terrorism by those who know, only too well, that it is an integral and indispensable part of the "system", as (a) a driver of change, and (b) a facilitator of manipulation and control. FOOTNOTE: The song that plays as "Tarrant" sets off on his murderous mission is Serbia Strong, which is here: https://www.youtube.com/watch?reload=9&v=FIcxqVRLEWI Listen to it while you can. Anything can be censored in these dark times. 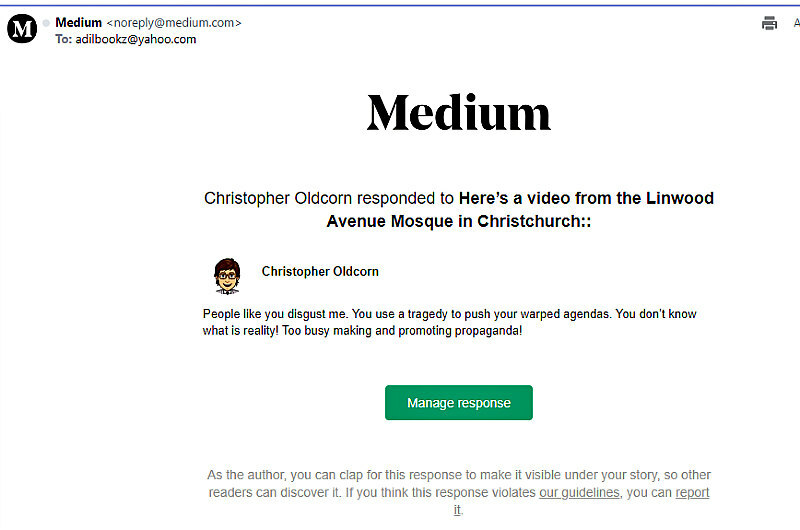 (1) The witch hunt is on: See "Christchurch mosque attack: Up to 14 years' jail for video sharers as Commissioner asks Facebook to give police names" at https://www.nzherald.co.nz/business/news/article.cfm?c_id=3&objectid=12214083. 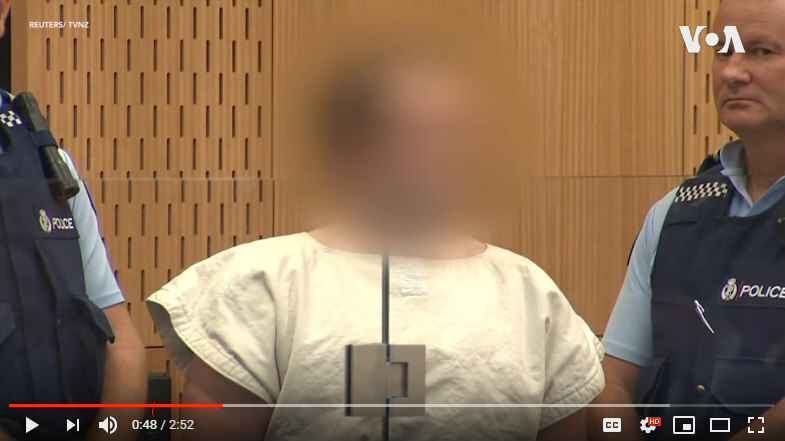 The article by Chris Keall, dated March 19, 2019, begins: "Chief Censor David Shanks has officially classified the full 17-minute video of the fatal Christchurch shootings which occurred on Friday 15 March, as "objectionable" — meaning it is banned. 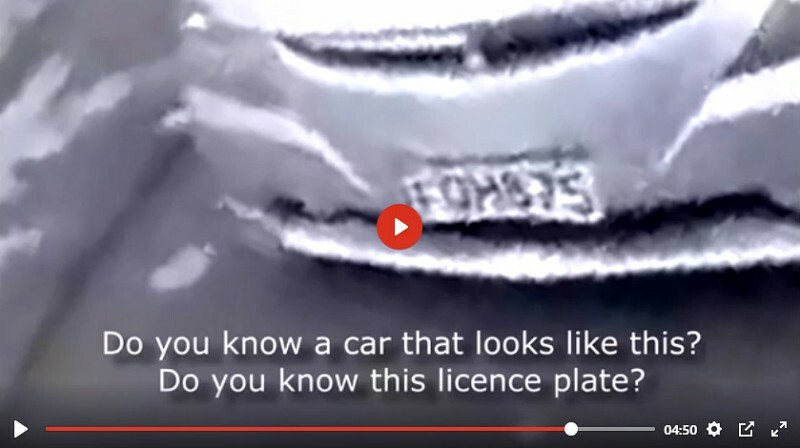 That raises the prospect of a fine of up to $10,000 or up to 14 years' jail for anyone who shares the clip — and this morning, Privacy Commissioner John Edwards called on Facebook to share names with police. It is an offence to share this material as soon as it is produced, and the timing of the official classification does not affect the ability for police and enforcement agencies to prosecute offences under the Films, Videos & Publications Classification Act 1993, Shanks says. 'Facebook should be notifying the police of the account names of people who have shared this content,' Edwards told RNZ this morning. 'It's not a conflict I think because at the core there is a very egregious offence to the dignity and the rights to privacy of the victims.' "
Actually, you would hard-pressed to identify anyone in the video. Those who have viewed it say all the "bodies" are (conveniently?) face-down. Meanwhile, one wonders why viewing the film of the Kennedy assassination is not a "very egregious offence to the dignity and the right to privacy of the late president"? It is hard to escape the conclusion that the elite, in this case, are (a) trying to hide something, and (b) trying to infantalize and criminalize the entire population, to lock us all into a state of ignorance, subservience and fear. This is the new feudalism, which surveillance technology will make more sinister than the last. (2) My posting of this link on Twitter resulted in the temporary suspension of my account, so I'll split it up in an attempt to defeat the algorithms. Copy it and paste it in the address bar, and then take out the stars: https://***153news.net/***watch_video.php?v=5NH44NNWADB8. I apologize for the inconvenience, and also for the flippant commentary that accompanies the video. Anyone who keeps their guns after an amnesty period which has yet to be announced will face fines of up to $4,000 and three years in jail – which is less jail time than a New Zealand resident could receive for downloading or sharing a video of the Christchurch attacks. As in the case of 9/11 (and other terrorist attacks, false-flag or otherwise), the question to be asked now is: In what ways, and to what extent, will this be used by the "authorities" to roll back civil liberties? Already, anyone retaining a copy of Tarrant's manifesto - for any reason - is a criminal. How long, I wonder, will it be before Ardern, et al., go after my bookshelf? How about banning my anti-vaccination books, in the name of the "public good"? Or my books on Holocaust revisionism? Or my books on false-flag terrorism? When you go down this path, you soon find that there is no end to it. Welcome to the fascist state. At the moment, everything is very lovey-dovey. But when the cops break down your door at 2am, they won't have smiles on their faces. to read the article that these pictures are associated with. Those who study terrorist attacks will know that they often coincide with, or come shortly after, anti-terrorism drills. Note the hijab. I won't be surprised if this picture appears on the cover of a fashion magazine. An official inquiry is, almost by definition, an inquiry that cements the official narrative in place. Furthermore, it is hard to envision any "recommendations" that don't consist largely of more spying, more random searches, more restrictions on public gatherings, more security cameras, more screening, more scanning, more censorship. . . The list goes on. The country is screwed. We are truly entering a Dark Age. From the New Zealand Listener, March 30-April 5, 2019. Aisling Michaela O'Neill Well said, Alan! Did you know that the matron at Wennington had a large pot of antibiotics which she dished out willy-nilly? Alan Ireland You appear to have inside knowledge. Are you referring to the formidable Rosamund? But to answer your question: No, I didn't know that. I do, however, remember the daily squirt of cod liver oil into the mouth, during the winter months. Once, it landed on the front of my jersey, which made me smell like a fish market for a while. Aisling Michaela O'Neill Alan Ireland Possibly, I don’t remember. I was a mental health nurse by training, appointed by Brian Hill in consultation with Michael Campbell, and disapproved of by Kenneth Barnes. I had independent access to the meds, which was how I saw what bossy matron and lazy GP were up to. If you ask me, the whole place was fishy and I smelled a rat quite early in my time there. Alan Ireland Lots of facile analysis there. They said I was a narcissist. The early arrival of some children for the start of term was cited as evidence of the school's success. I just wanted plenty of time to find a mattress without urine stains on it. Aisling Michaela O'Neill Alan Ireland If they wanted somebody with narcissistic personality disorder they needed look no further than KCB. He displayed all the classic signs.